Voice Africa's Future is using mobile technology to facilitate youth participation in the development frameworks that will follow post the Millennium Development Goals (MDGS) 2015 deadline. The project is working to hear from at least 150,000 young people between the ages of 15 and 35 years in 10 African countries about how leaders can make a brighter future. Initiated by Text to Change (TTC) and African Monitor, the initiative invites young people to respond to the question - "What’s your hope/vision for a better future for you and Africa?" which is being shared through online networks. The Millennium Development Goals (MDGs) were created by the United Nations to develop the world’s poorest countries from 2000 to 2015. According to the project, world leaders will need a new guiding document, called Post-2015, for Africa’s development and for this they will need Africa's youth to speak out so that their voices can be heard for Post-2015. 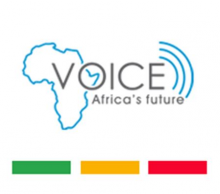 The Voice Africa's Future initiative is being rolled out in 10 African countries: Burkina Faso, Ghana, Ethiopia, Kenya, Uganda, Tanzania, Zambia, Malawi, Botswana and South Africa. In this initiative mobile technology platforms are used to ensure African youth groups participate in shaping the post-2015 agenda. The project uses a multimedia approach to reach the youth and ask them to participate in this initiative. Through local radio shows, celebrities, newspaper adverts, and various events they were asked to SMS "post2015" free of charge to their country short code. According to TTC, youth tend to be early adopters of technology, not only in developed countries, but also in developing countries. That is why using mobile technology is the best way to reach African youth and give them the opportunity to express their valuable opinion. The youth are also being asked to choose the top three most important issues that will make the most difference to their lives as young people living in Africa. All issues identified are put into groups and clusters and are used as input for a report for the High Level Panel of the Secretary General of the United Nations, which will study the report before the High Level Panel meetings that are planned for Bali and New York. People can interact with the initiative through the Voice Africa’s Future website as well as social media such as the Voice Africa's Future facebook page and Voice Africa's Future on twitter.